Bottom Sweeper Jigs are a high performance trophy tog and sheepshead jig developed from countless hours of fishing and research. 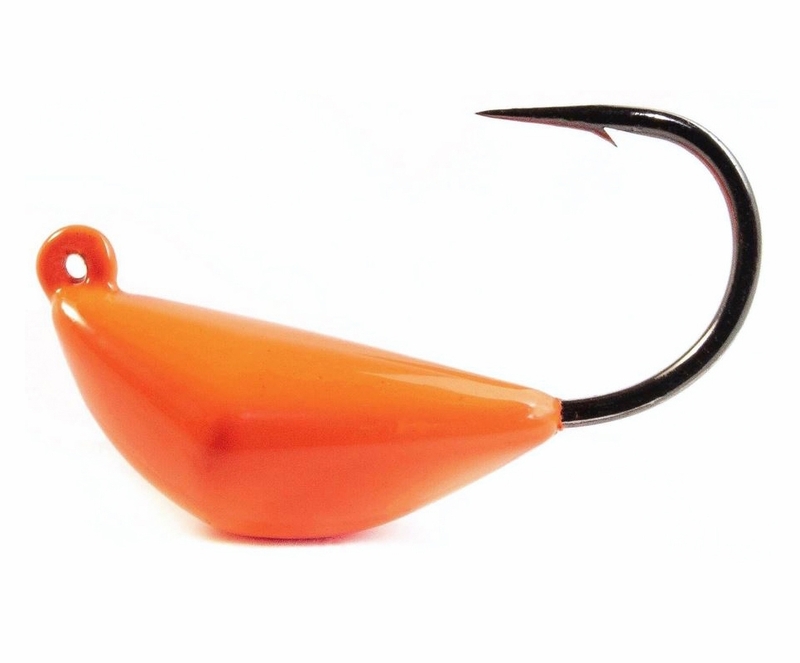 Bottom Sweeper Jigs are symmetrically designed to resist roll over with an astounding front to rear balance. This design also allows them to drop quickly, glide over structure, and stay in place in a rushing tide. 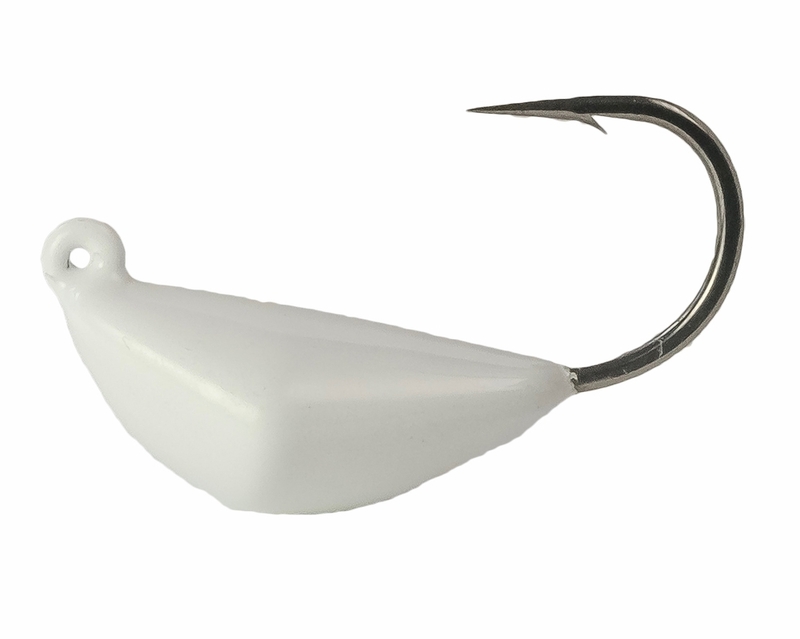 The compact profile of the Bottom Sweeper allows it to be ingested into the fish�s mouth and deeply impact the corner of the jaw, resulting in a better hook-up ratio on finicky species that can be difficult to hook. Bottom Sweeper Jigs are built to withstand the rigors and punishment of some of the hardest fighting fish from the fertile back bays to deep dropping offshore structure. 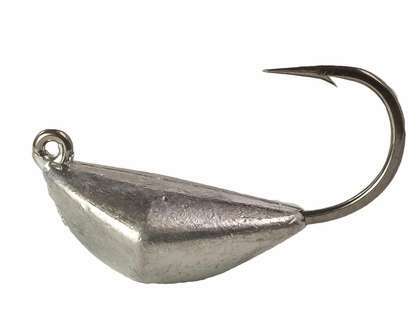 While most commonly used for bottom dwellers with live or cut crustacean baits, anglers have also found the Bottom Sweeper Jigs to be effective for use in live lining applications for species like striped bass and snook. 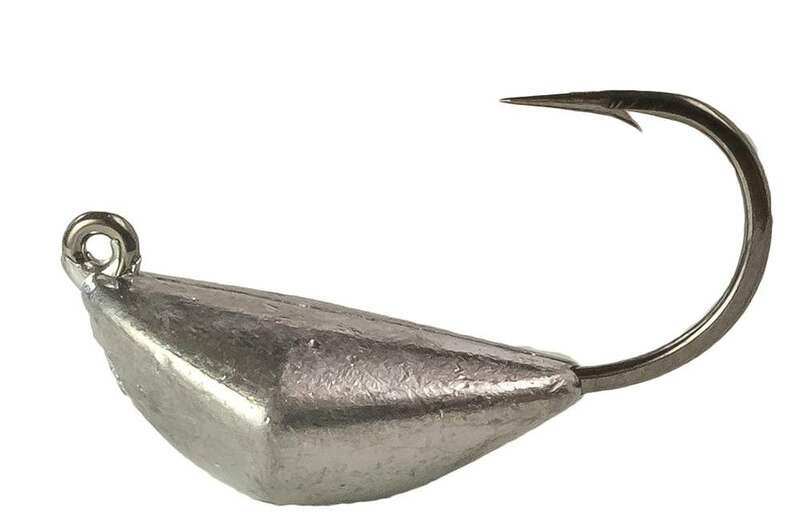 All models are outfitted with a heavy duty 2x strong Mustad Ultra Point Hook that penetrates with ease and resists compromise on explosive hard won battles. When the fish of a lifetime is on the line, only settle for the best. All Bottom Sweeper Jigs are Handcrafted in the USA. 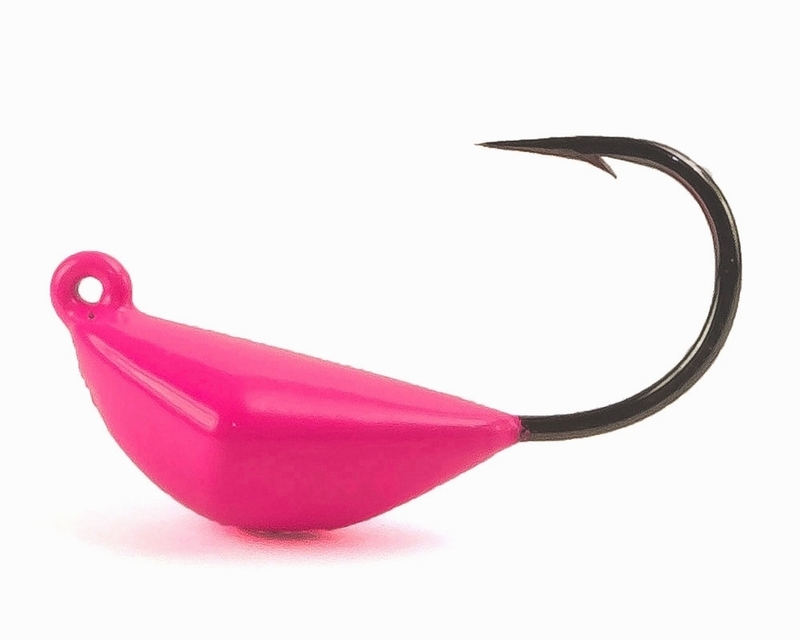 Available in 1/4 through 3 ounce weights with varying hook sizes and colors. Have yet to put them to use but they look great and I like the design, hoping to put some togs in the boat with these! Jigs are well made and hooks are razor sharp. Been using these jigs with great success. They have a smaller profile than the other tog jigs available which is what I think makes these jigs so deadly. Best jig head for Sheephead hands down! I've used many jig heads throughout my life and the simplicity of Bottom Sweepers answered my call for rigging crab, clams, or any other bait used for sheephead. Will highly recommend these jig heads to all of my friends in the fishing community. Tight lines Brothers and Sisters on water! ProsJig heads are built like a M1A1 Tank, case closed! ConsNone and more thank likely never will be. one of the best tog jigs to date that i have used! My new go to tog jigs. Caught a lot of tog on these this fall. My new go to tog jig. A different shape and size to your typical tog jig. 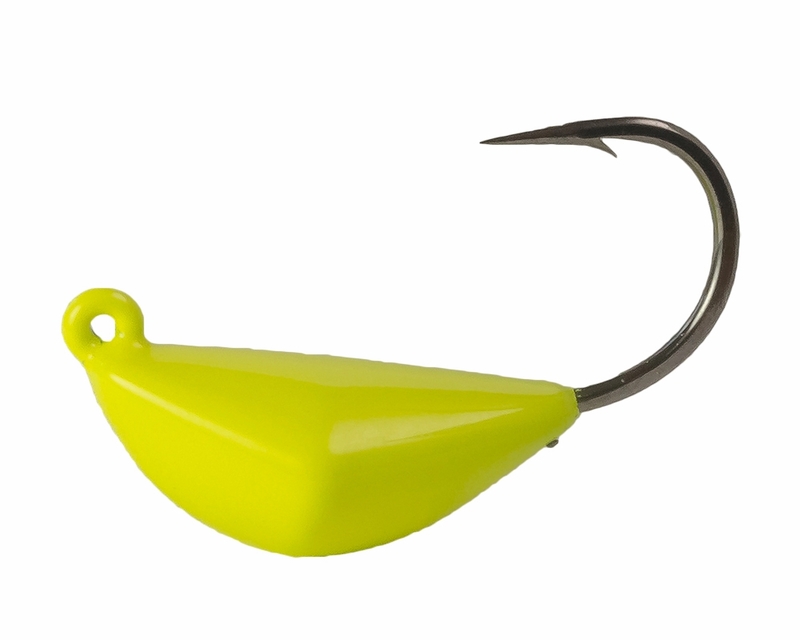 It sits on the bottom vertically and gives a better chance for a hookset. I�€™ve used this jig, in all sizes and colors, dropping bottom for sheepshead, tog, flounder, trigger fish etc. I�€™ve also used it with great success live lining earlier this year. Overall, I�€™m very impressed with the design and the hooks are razor sharp/extremely durable. I will be buying more!! Best hooks and design I have come across yet. You really have to try hard to get the hooks out of the fishes mouth .